Board games provide clear definitions of success based on observable units. In local government, the units by which success is measured are often left in a very fuzzy state (e.g. WTP4). Worse, the units are rarely ratios measuring productivity or public value. In board games, a player is constantly assessing the productive value of her actions. “Did I play that turn well?” is answered by examining the impact on her score and/or resources. Playing board games builds a habit of searching out and selecting meaningful metrics. Many local government discussions assume that choices are independent of each other. Votes are perceived as tabula rasa. Mistakes can be undone. For example, the region’s transportation discussions often take this tone (“have to start somewhere” or “have to do something”). 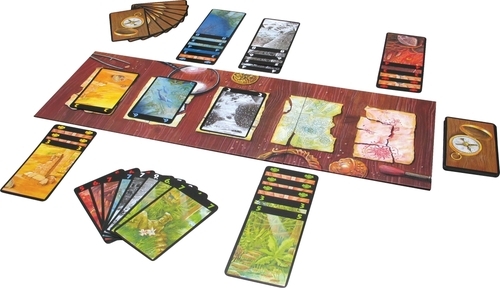 Board games feature path-dependence: once you launch an expedition, you can’t unlaunch it. The expedition perpetually impacts your likelihood of victory. The transparency about path-dependence gets players thinking about the opportunity costs of each move, instead of just accepting the binary choices presented by yes/no votes. If you play, you often lose. Then you think of improvements. There’s constant evaluation because there’s continuous, clearly-defined experimentation. A board game-playing elected would be supportive of rigorous, independent evaluations, especially of strategy-focused evaluations (‘Are we effective at managing sprawl?’). But straight evaluation is inferior to what a gamer does. Gamers actually do trials intended to discern what is optimal through experimentation. A steady-stream of pilot programs is the local government equivalent of a mastery-focused gamer’s experimentation approach. Chatting during game play is how one coordinates alliances, susses out player strategies, sets up brinksmanship, facilitates trades. Some of the local elected officials see their role as being wise trustees, waiting for decisions to come to them. But our perennial civic MVPs tend to be organizers that are constantly chatting up and coalition-building around the next big priority (e.g. Kirk Watson). Successful board game play requires that one nourishes a talkative deal-maker persona. Some risks are ‘unknown unknowns’. However, in local government, like in board games, many of the most potentially damaging risks are visible and can be managed. For example, many key choices in Austin local government are based on projections and/or matrices that pop out numbers (e.g. traffic estimates, student enrollment projections, police response time calculation, sidewalk improvement prioritization). Initial forecasts are routinely accepted as valid (without proof of validation) and decision-making proceeds from there. It’s the equivalent of accepting that a deck of cards is actually shuffled when one hasn’t seen it shuffled or verified the shuffle by flipping over and scanning the cards. Experienced gamers know the importance of ensuring an actual shuffle. Similarly, experienced players realize that risk is a distribution; they don’t plan for the dice to roll 3.5 every single time, even if they expect that to be the average over many dice rolls. They develop contingencies for modest- and low-probability events that might have disproportionate impacts – a recession is a policy-world equivalent – when planning. A board game-playing elected official would require independent validation of forecasts, routinely insert language that automatically alters policy if forecasts change, and include sunset and evaluation provisions for initiatives. This entry was posted in Wonker's Delight. Bookmark the permalink.